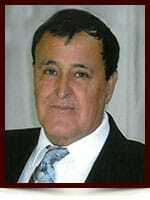 Evaristo Arias - Edmonton's Burial & Cremation Professionals | Trinity Funeral Home Ltd. It is with great sadness we announce the passing of Mr. Evaristo Arias on February 19, 2016 at the age of 73 years. He is survived by his loving family, daughters; Rocio (Marcello) and Elias (Richard), granddaughter; Scotlynn, & Castro (Jenny) of Edmonton Alberta, Sisters-in-law; Rosario and Antonia as well as numerous nephews and nieces, all of Spain. Evaristo was predeceased by his parents; Rafael and Isabel, brothers; Rafael and Antonio, sisters; Carmen and Fransica, as well as brothers-in-law; Pepe and Candido. 10530 – 116 Street Edmonton, AB. In lieu of other tributes, donation can be made to the Edmonton Humane Society at 13620 – 163 Street.